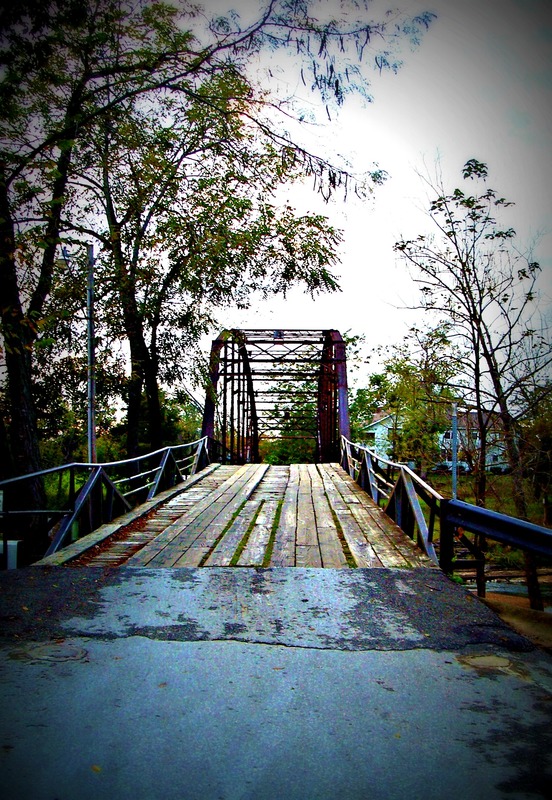 Bridges – the old-fashioned kind that are big and have that overhead piece – used to scare me as a youngster. Now they intrigue me. I don’t often get photos of them because I am usually driving. Hope you enjoy today’s photo! This entry was posted in Another Life Another Time, Photo, Picture from yesterday and tagged bridge, fall, Found Round and about, nature, photography, picture from yesterday, tisha clinkenbeard photography. Bookmark the permalink. Love the composition and the bluish tinge. Nice shot, I like the old-school processing look of this image. Very nice! Thank you! Hope you enjoy the pictures! Many thanks! It was a beautiful setting and a fun adventure. This is really nice. Great photo! Hi, what should i write about your art work because i don’t find words so you can judge how much i like them. i don’t have any Art related background, in short everything is Awesome! Thank you so much!!! My thoughts are that the things I find to photograph are just amazing. The beauty that the world has to offer can so easily go unnoticed. I feel privileged to share these with the “world”.